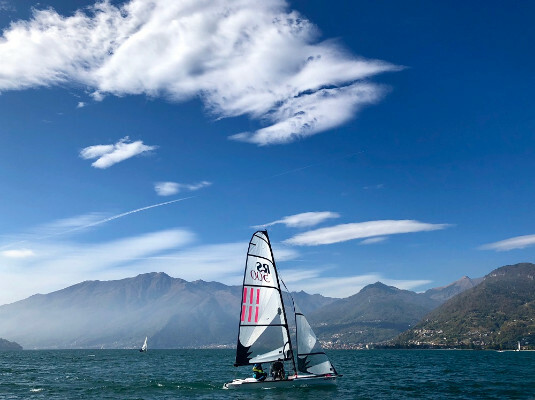 The final results for the 2018 RS500 Eurocup Series, which included events at YC Carnac, France, Worlds at RS Games, Weymouth and Colico, Lake Como are available HERE. The results include junior (J) and all girls (F) ranking. With thanks to Mario Rossi for doing the sums. The Netherlands, with 22 boats, is the first nation, Italy is the second with 11 boats, Great Britain is the third with 10. Only four boats from Czech Republic and Slovakia (there is a huge class there, ready for Worlds 2019 in Lipno...). Unfortunately only 3 races in Eurocup 2018 (Carnac, Weymouth and Colico) but: very competitive fleets, excellent wind and weather conditions, spectacular competition everywhere! Thanks to France, Great Britain and Italy for these wonderful events; 2019 will be really the year of records: France, Italy, Czech Republic and The Netherlands will host the events. Details are up on the website (Lac du Der, FRA; Worlds CZE) and other two (Lake Como in May or June and The Netherlands in September) will be available soon HERE. Entry is already open to the World Championships. Save the dates and come and join the fun!